I went into the store knowing I wanted a pumpkin scent, but the majority of them were combined with caramel or marshmallow which I found too sickly, so was really happy to find the Sweet Cinnamon Pumpkin as it has a really warm, spicy smell to it which is PERFECT for this time of year. You may have heard the buzz about B&BW's Mahogany Teakwood candle a couple of years ago; gathering internet fame for smelling like an Abercrombie and Fitch store, and I already had a miniature of that at home so was planning on buying a large one. 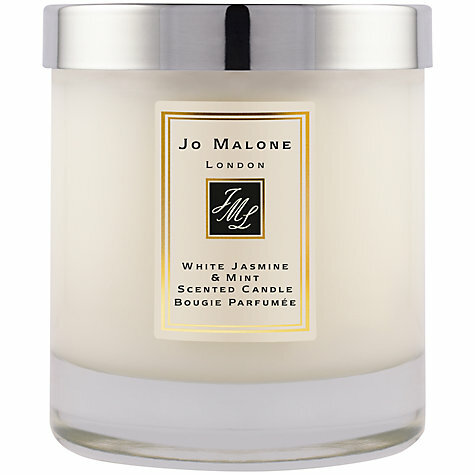 I'm also lusting after the Jo Malone White Jasmine and Mint Candle, which I do have in perfume/cologne form, but at £42 a candle, which is roughly half the size of a Bath and Body/Yankee... I'm not so sure I'm ready to part with my cash quite yet. Although the scent does make you feel so luxurious. So I hope you enjoyed this little post and PLEASE let me know if you've come across any nice places for candles in the UK without too heftier price tag - I am a candle newbie after all..